Hippodamia convergens, commonly known as the convergent lady beetle is one of the most common lady beetle species in North America. It is found throughout the continent (from southern Canada to South America). Aphids are the main diet for both adults and larvae and thus this species is usually sold by insectaries for aphid control. 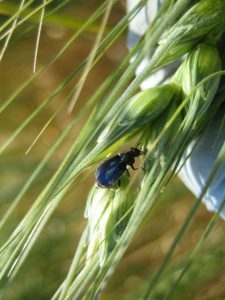 These predators can be found in wheat, sorghum, alfalfa, vegetables, greenhouse crops, orchard crops, and most crops attacked by aphids. This lady beetle has been repeatedly introduced to North America from Europe as a biological control agent. It was established in the early 1970s in New Jersey and has been spread naturally throughout North America. Both the adults and the larvae are voracious predators of aphids. 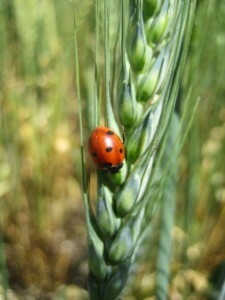 C. septempunctata may be a more effective predator than some native lady beetle species, displacing them in some areas. These predator are found in aphid infested crops, including potatoes, legumes, sweet corn, alfalfa, wheat, sorghum, etc. The most common North American species belong to the genus Collops. Species Collops hirtellus LeConte, 1876 is common in the Pacific Northwest. Most “melyrid” adults and larvae are predaceous. They are generalist predators feeding on aphids, green stink bug eggs, and larvae of the alfalfa weevil. 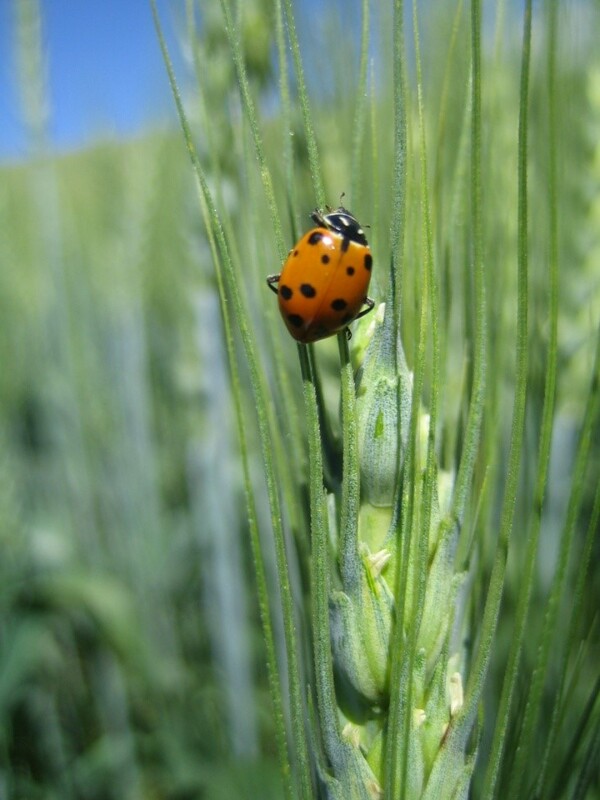 They can be found in wheat, sorghum, alfalfa, grasses, and most crops attacked by aphids.